Lamarte is a Naturalist and Technician of conservation for the Enterprise for the National Protection of Flora and Fauna (la Naturaleza de la Empresa nacional para la Protección de la Flora y Fauna). He is currently developing conservation projects involving bats and their roosts located in the protected area of "Cayo Sabinal." He has studied the population dynamics of bats and birds, their biodiversity, and habitats. 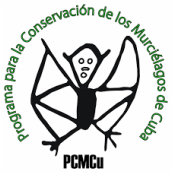 He is the coordinator of Program for Bat Conservation Cuba (PCMCu) for the province of Camagüey.